Storm surrounding mention of controversial WWII figure at Knesset ceremony; Science Minister leaves in protest as name read. MK Merav Michaeli (Zionist Union), granddaughter of Dr. Israel (Rudolf) Kastner, lit a candle in memory of her grandfather, along with her mother, the daughter of Dr. Kastner. Michaeli lit the candle despite the public outcry over this intention, due to Kastner's controversial role in World War II, both regarding his Hungarian "rescue" activities during the Holocaust years, and about testimony he gave in the Nuremberg Trials that benefitted two senior Nazis. 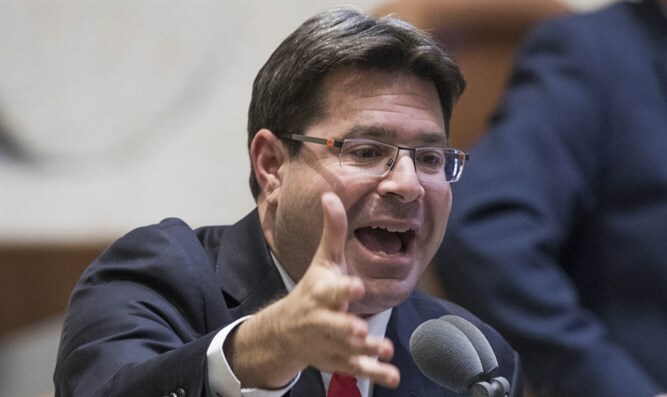 During the candle lighting, Science Minister Ofir Akunis left the event in protest, and returned to the ceremony immediately afterwards. The Knesset explained this morning that the Every Person has a Name ceremony is "a ritual that has been beyond dispute for three decades and it is necessary to ensure the ceremony remains this way. "The Knesset has never held and will never hold personal ceremonies regarding a specific Holocaust victim or survivor," the Knesset clarified. "Knesset Members lighting a memorial candle customarily dedicate the candle to any member of their family who perished or survived in the Holocaust, and no Knesset body has the power to dictate to Knesset Members in whose honor they light the memorial candle. 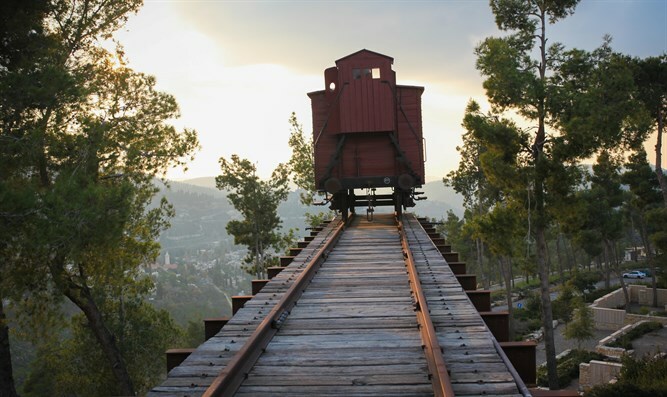 "It is flawed and immoral to try to determine who is more worthy and who is less deserving among the victims and survivors, and certainly the Knesset will not behave that way, and we hope that others will respect the Holocaust and the sanctity of the ceremony." Dr. Rudolph (later Israel) Kastner was head of the Jewish Agency Rescue Committee in Hungary and later was appointed Israeli Trade and Industry Ministry Spokesman. He was accused in a 1953 pamphlet written by a Holocaust survivor of collaborating with the Nazis during the war, the only crime to merit the death penalty in Israel (Nazi and Nazi Collaborators (Punishment) Law, 1951). Towards the end of the war, the S.S. Colonels in Budapest were faced with the capture and deportation of eight hundred thousand Jews to be killed in Auschwitz with only 150 S.S. soldiers and five thousand Hungarian gendarmes to execute the task. The S.S. Colonels wished to avoid another Warsaw Ghetto uprising, in which for twenty-seven days Jews armed with pistols, clubs, and broken bottles stood against German tanks, cannon, machine guns, and the Luftwaffe, causing many German deaths and casualties. In the trial resulting from the Israeli government indictment of the Holocaust survivor author of the 1953 pamphlet, Dr. Kastner admitted that Eichmann told him he wished to avoid a second Warsaw. The only possible way of getting Hungary's Jews to Auschwitz was to keep them ignorant of their fate. In the 1955 Kastner trial itself, Judge Binyamin HaLevi wrote in his verdict: "The sacrifice of the vital interests of the majority of the Jews, in order to rescue the prominents, was the basic element in the agreement between Kastner and the Nazis. This agreement fixed the division of the nation into two unequal camps: a small fragment of prominents, whom the Nazis promised Kastner to save, on the one hand, and the great majority of Hungarian Jews whom the Nazis designated for death, on the other hand. An imperative condition for the rescue of the first camp by the Nazis was that Kastner will not interfere in the action of the Nazis against the other camp and will not hamper them in its extermination. "Kastner fulfilled this condition. He concentrated his efforts in the rescue of the prominents and treated the camp of the doomed as if they had already been wiped out from the book of the living. "One cannot estimate the damage caused by Kastner's collaboration and put down the number of victims which it cost Hungarian Jews. These are not only the thousands of Jews in Kluj alone, but also the thousands of Jews in Nodvarod or any other community in the border area; Jews who could escape through the border, had the chief of the rescue committee fulfilled his duty toward them" (Judgement of Judge Dr. Binyamin HaLevi, President of the Jerusalem District Court, June 22, 1955, Protocol, C.C. 124/53 in the District Court of Jerusalem).